Whey Protein Blend (Whey Protein Concentrate, Whey Protein Isolate), Natural and Artificial Flavors, Xanthan Gum, Sucralose, Acesulfame Potassium. Whey Protein Blend (Whey Protein Concentrate, Whey Protein Isolate), Cocoa, Natural And Artificial Flavors, Xanthan Gum, Salt, Sucralose, Acesulfame Potassium. ALLERGEN WARNING: This product is manufactured in a facility that processes Milk, Soy, Egg, Wheat and Tree Nuts. Seek advice from a physician before consuming this product. For use as a dietary supplement only. Keep out of reach of children and pets. Store in a cool dry place away from direct sunlight. Consumer is responsible and assumes all risks, liabilities, and consequences related to the use of this product, including compliance with the rules and regulations of all governing bodies or other entities having jurisdiction over any sport or athletic activity in which he/she participates, as well as any career regulations. 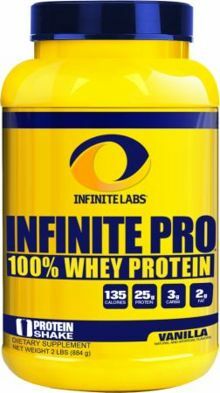 Whey Protein Blend (Whey Protein Concentrate, Whey Protein Isolate), Cocoa, Natural And Artificial Flavors, L-Taurine, L-Glycine, Xanthan Gum, Salt, Sucralose, and Acesulfame Potassium. Whey Protein Blend (Whey Protein Concentrate, Whey Protein Isolate), Natural And Artificial Flavors, L-Taurine, Salt, L-Glycine, Xanthan Gum, Sucralose, and Acesulfame Potassium. Bio-Availability represents the percentage or scale rating of how much your body can assimilate certain protein sources. Your body and digestive systems absorb some proteins better than others. Certain sources will provide a higher amino acid profile. Betts JA, et al. (2003). Effects of recovery beverages on glycogen restoration and endurance exercise performance. Journal of Strength & Conditioning Research. 17(1): 12-9. Campbell, et al. (2007). International Society of Sports Nutrition position stand: Protein and exercise. Journal of the International Society of Sports Nutrition, 4:8. Cribb P, Hayes A. (2006). Effects of supplement timing and resistance exercise on skeletal muscle hypertrophy. Medicine & Science in Sports & Exercise. 38(11): 1918-25. Kimball Scott; Jefferson, LS (2006). Signaling Pathways and Molecular Mechanisms through which Branched-Chain Amino Acids Mediate Translational Control of Protein Synthesis. Journal of Nutrition 136 (1): 227S.